Focusing on your customers will help your business grow in all areas. Customer centric businesses invest the whole team focus on supporting their prospective and existing customers. This doesn’t just mean sales and customer service, but accounting, marketing and other departments as well. Customer centric sales require a more consultative approach, and sometimes means prioritizing help and advice over tying to make a speedy sale. The first step to becoming a more customer centric business is to truly understand what your customer experiences at each stage of their customer journey. The best way to do this is to place yourself into your customer’s shoes and experience the journey you serve to your customers. Let’s be clear here: It’s not enough to simply think you get it. You really need to turn yourself into a customer and send yourself through the entire customer experience from when a customer first recognizes that they have a need, to how they research online and go on to choose a solution to their problem. When you do this, you will realize that your business only touches the customer at some points in their journey. Outside of these touch-points, they have many other needs which are currently hidden to you. Let’s assume that I am a marketing manager and I’ve just started my new job in a software business in New York. My job description is to develop lead-gen campaigns to serve my sales team. On day one, I meet my boss who introduces me to the rest of the team. In the afternoon, I go to my LinkedIn account and update my profile. My smarter contacts, who have sold services to me in the past, already know that I am starting a new job and send me a private Tweet or LinkedIn message to congratulate me. Over the next few days I start to settle into my new role, and my first priority is to review the lead acquisition strategy and action plan. One of my contacts anticipates this and sends me a checklist of what to include in my lead-gen plan. This really makes them stand out, as it was just what I needed at that moment in time. The next day he calls to see how I am settling in. I take the call and thank him for the checklist. This value-add service stands out because it’s thoughtful, personal and really useful, too. He was careful to focus on how I’m settling into my new role and not to start pitching. We agree to have drinks next week time to catch-up properly. Over drinks, I share that I’m not happy with the lead-gen tools suite that I have inherited in my new role and my new contact has put himself in a good position to compete for my business. You get the idea. The point is that a more consultative and holistic approach wraps your business processes around the customer and understands their needs at each stage rather than just cold calling them in the hope that they have a need “in that moment” and would consider buying from complete stranger. Having understood your customer’s buying needs, the next step to becoming a more customer centric business is to define your customer’s buying cycle so that you can optimize how you communicate with them throughout the sales process. Share this with everyone in your sales, marketing and account management team and ask them to help you flesh-out a more detailed customer profile of your typical customer using your draft version as their starting point. Explain to some of your customers that you are looking to raise customer service to the next level and ask them to help you to map out a typical customer buying cycle. The best way to complete this is with a small group of customers, as this will provide you a more in-depth understanding. For instance; how they behave, where they go for information and what channels they use to communicate? At this point, you’re ready to start creating the customer journey map. To make this easier, you can use a customer journey mapping tool like UXPressia, which allows you to create your first customer journey map for free. Map your customer journey, starting with the earliest recognition of a problem that might raise the need for your product. Then, plot each decision making point or Moment of Truth (MOT) on your customer’s journey to buying your product. Go on to map the customer experience after they have bought your product. Within this, it is important to understand any pain-points that need to be resolved to delight your customers and benefit from customer referrals. Mystery shop your best competitors to understand the customer perspective better. This will provide you with insight into aspects of service delivery that your competitors excel in, which you can use to help inform your own approach. Get each member of your team to become a customer of your business for a day so that they can experience what it feels like to be in the customer’s shoes. The most exclusive hotel in Morocco, The Royal Mansour Marrakech, gives each of their staff a 24-hour experience of being a customer staying in their hotel when they start their job. This starts with a chauffeur driven limo from the airport to the hotel where they are greeted by the whole staff team and then waited on hand and foot. The owner of this exclusive hotel for the super wealthy says that it’s the only way that staff can truly understand the customer experience and emulate the highest standards. 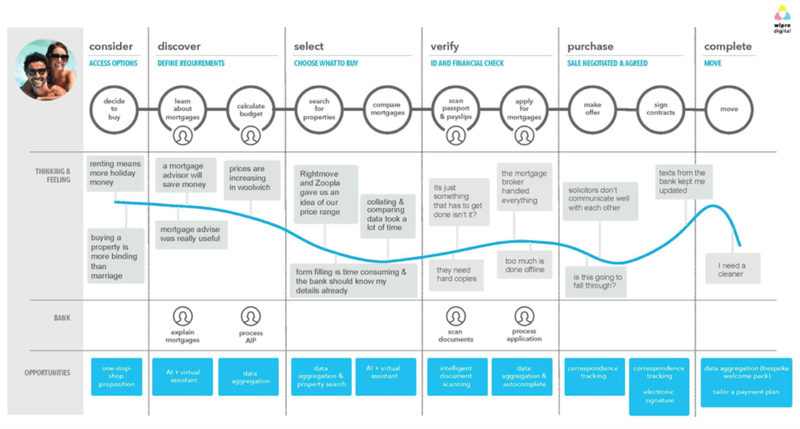 Your customer journey map can be changed over time as you build a more and more detailed understanding of your customer’s needs. Once you have defined your customer buying cycle and the key stages of this, the next step to becoming a more customer centric business is to reflect thisinto a customer CRM tool like Pipedrive. This will allow you to manage your relationships with clarity, consistency and real positive impact across sales, marketing, account management and customer service and support disciplines. Or if you are a 1-person business, it will help you to perform all of these roles yourself without getting confused or failing to deliver on the promises that you make to customers. Store customer profile information and a record of each touchpoint you have with a customer. Whether the contact is by phone, email, social media or face-to-face, a good small business CRM system will help you to maintain an up to date profile and a record of all of your interaction with a prospective customer. Manage your sales pipeline. Once you have a clear understanding of your customer journey, you can use this to generate the stages for your sales process within your CRM system, so that you can measure and manage your progress in sales and align this with support from other functions like marketing, account management, and customer support. Efficiently manage tasks. A good small business CRM makes it easy for you to set yourself tasks and forward plan. The system will then act like a personal assistant and remind you that a given task needs to be completed. A CRM system is also a great tool for managing existing customer relationships. These relationships may continue to be managed by salespeople or by account execs if you like to keep your sales team focused on new business. Once you have established your customer buying cycle stages and adopted a CRM system, the next step to becoming a more customer centric business is to improve your customer’s experience at each touch point that they have with your business. Within the overall customer experience there are moments of truth (MOTs), which can be decision making points in the sales process, but not always. For example, a MOT for a mortgage salesperson is getting the customer to sign the loan documents. However, this is not the MOT for the customer -- for them, this is a pain point. For the customer, the MOT comes when they take possession of the keys for their new home and open the front door for the first time with their family. If the salesperson appreciates this and sends congratulations and a bottle of sparkling wine is sitting on the kitchen table when they first enter their new home, then this customer is far more likely remember and appreciate the relationship. If they call within 24-hours of this, they are well placed to ask for referrals. A great welcome: The customer welcome is key to their perception of the dealer they consider buying a car from. If the welcome is warm and light, this becomes the first moment of truth. Help me choose: The customer is looking for help. They don’t want to be sold to at this stage, rather they want to be listened to. They need help to make the right decision, but they want this to feel like being advised in their best interests. A fair purchase: The customer wants to know and believe that they have been dealt with fairly and openly. If there are any special deals active, they would expect to have been informed. If there is a competitive rate for finance, they would expect the most competitive rate to have been offered. My honeymoon: The biggest moment of truth is when the car is handed over. The deal is already signed-off, but the salesperson has to recognize that for their customer, this is the biggest moment of truth. When things go wrong: Things can sometimes go wrong, the customer knows this and is usually very forgiving as long as the dealer goes out of their way to put things right when they do. Service: Making is easy and convenient for the customer to service their car and maintain the same quality of experience they received during the sales process is key to repeat business and referrals. Let’s keep in touch: From the perspective of the salesperson, do they drop me like a stone when they have the sale in the bag, or are they genuinely interested in staying in touch from time to time? Moments of truth are not always positive; they can also be pain points from the customer’s perspective. For instance, if the aftersales service is less impressive than what the customer experiences during the sales process, this can undo all of the good work that was laid down to generate the sales in the first place. 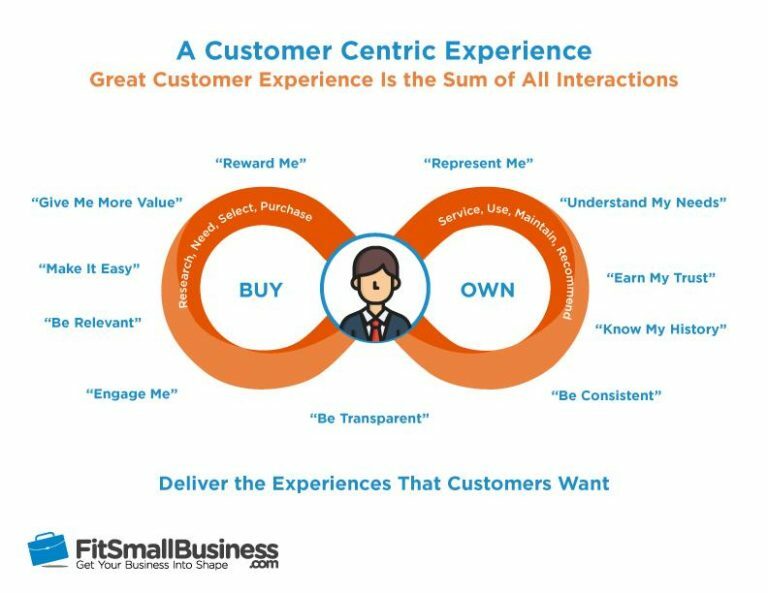 This is why a successful customer centric business requires participation from everyone -- not just your salespeople, but support, accounting and service staff, too. Measuring and managing these key moments determines the reputation of your business and your ability to earn most of your future customers via word-of-mouth. Having understood your typical prospects behavior and their moments of truth puts you in an excellent position to understand their needs at each stage of their journey. It also places you in a good position to implement the final step of becoming a more customer centric business. This step involves making yourself useful to your customer at times when they might not have thought to ask for your help. Sales may be too busy selling to develop the content that they require, but once the needs are understood, then marketing will be able to put content and tools in place to help enable sales to earn the right to close future deals through investing in building consistently good quality relationships. For instance, if you sell business loans, then it makes sense to provide your customers with a loan calculator that allows them to compare the cost of your loan against your key competitors. You also might want to provide them with a home finances budget template to make it easy for them to work out whether they can afford to take out the loan. Perhaps you could provide free advice on financial planning and tips on how to reduce household running costs? These kind of added-value services will help to build trust and also accelerate the sales process with customers who decide to do business with you. There are also many ways to improve the efficiency and effectiveness of your sales performance using a range of small business sales enablement tools. I recommend reading The Best Sales Enablement Software 2017 to learn more. B2B customers are becoming increasingly focused on relationships and business outcomes rather than solely products and services. As a result, arguably the biggest single competitive edge will come from delivering a more customer-centric approach that brings your whole small business team into play rather than expecting sales to work in isolation. 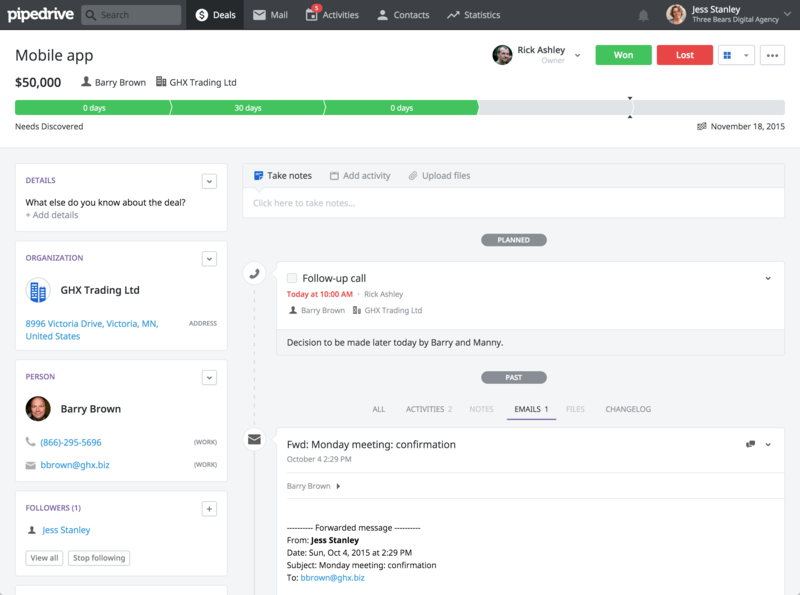 CRM tools like Pipedrive will also make it much easier to organize and consistently deliver the best possible service to your customers.